touristplacesinindia offers complete information on the union territory of Pondicherry, Tourism in Pondicherry, Pondicherry Travel, Hotels in Pondicherry, Pondicherry Tourism, Pondicherry Hotels, Pondicherry Tourism, Visit Pondicherry, luxury hotels and budget hotels in Pondicherry. This erstwhile French colony on the eastern coast of India was known as Pondicherry till September 2006. The official name has been changed to Puducherry, the original vernacular name of the place meaning �new village� in Tamil language. Puducherry is a union territory in India governed directly by the central government in Delhi. However, it also enjoys partial statehood like Delhi, and has an elected legislative assembly that has powers to make laws regarding specific matters, subject to approval of the central authorities. Tourism in Puducherry is one of the biggest sources of revenue. There is a lot of tourist interest in the region, due chiefly to the natural beauty and a colonial past. The history of Puducherry dates back to the 1st century AD. References to the place have been found in ancient texts that point to a flourishing trade between this part of India and Europe. Many artifacts, including Roman goods have been discovered from sites near Puducherry. Later periods saw the region being ruled by many dynasties, including the Pallavas, Cholas, Pandyas, the Vijayanagar Empire, and the sultanate of Bijapur. The Europeans arrived in 1674, with the French East India Company setting up a trading post here. This settlement went on to grow into the French settlement in India. In the following years, Puducherry was frequently lost to the Dutch and the British, but regained as part of various treaties. The French were allowed to retain their Indian possessions by the British after they became overlords of the entire Indian sub continent. Puducherry remained with the French till 1954 and was ceded by the French in 1962 after a prolonged unification movement. Pondicherry was declared a union territory in 1963. The French colonial influence can be seen everywhere in Puducherry. The plan of the town, the streets, the bungalows, and the monuments of the city reflect the French colonial association. A large number of organizations are still working from Puducherry to preserve French culture and heritage. Of these , the notable ones include the French Institute of Pondicherry, the Pondicherry Centre of the �cole fran�aise d'Extr�me-Orient and Alliance Fran�aise are noteworthy. The Lyc�e Fran�ais de Pondich�ry is a French school operating under the control of the French Minister of National Education. Some of the local residents still hold French passports, being the descendents of the people who chose to remain French citizens at the time of the union with India. The tours of Puducherry will take you to some of the best known tourist spots in and around Puducherry. The most famous tourist attractions include the beach, the Ashrama of Rishi Aurobindo, a famous spiritual leader and a freedom fighter, Pondicherry museum, botanical garden, Auroville, Chunnambar Boat House and Bharathi Park. 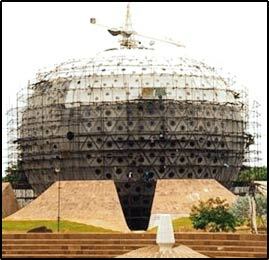 Puducherry tourism authorities offer conducted tours of all these and other tourist spots in Puducherry. This erstwhile French colony presents an interesting variety to the tourism experience in India which is full of British influence. The natural beauty of the region is as impressive as its history. Touristplacesinindia.com offers online information about Puducherry and the other tourist places in India.